Maha Nassar, a cultural and intellectual historian and Modern Middle East and Islamic Studies scholar will visit The University of Alabama in Huntsville (UAH) next month. Dr. Nassar is an Associate Professor in the School of Middle Eastern and North African Studies at The University of Arizona. She will visit the UAH campus March 6-8. Nassar will give a public talk on Thursday, March 7, at 6 p.m. in the Charger Union Theater. The event is free and open to the public. 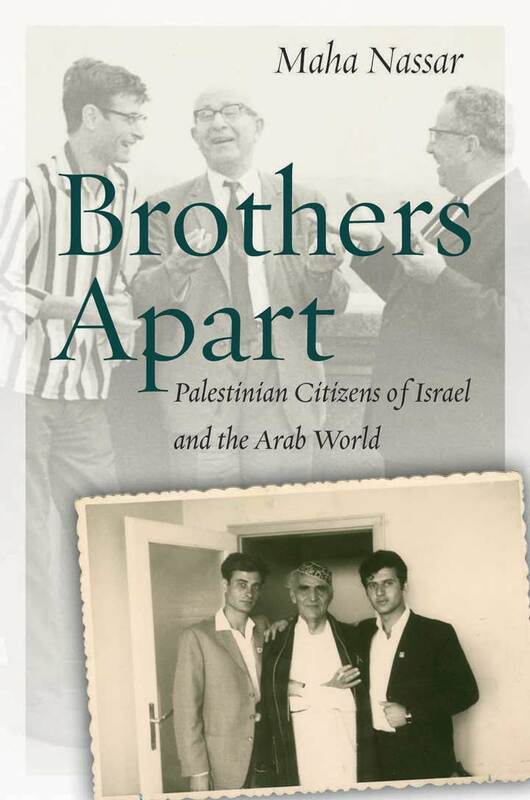 Nassar is the winner of the 2018 Palestine Book award for Brother’s Apart: Palestinian Citizens of Israel and the Arab World. Her UAH talk is based on the book and examines how Palestinian intellectuals in Israel have connected to global decolonization movements through literary and journalistic writings. Through a critical analysis of Arabic collected works, Nassar demonstrates the importance of Arabic newspapers and literary journals in traversing boundaries and creating international and regional communities of solidarity. Dr. Dylan Baun, UAH Assistant Professor of History, who was instrumental in coordinating Nassar’s visit to campus, explains the importance of her work. “Dr. Nassar’s research uncovers a once invisible historical topic: Palestinian citizens of Israel in the 1950s-1960s. Although these men and women were granted citizenship with the creation of the state of Israel in 1948, their status was tenuous at best. Moreover, they have been overshadowed in the scholarship by the politics in the Occupied Territories of the West Bank and Gaza and broader questions dealing with the Arab-Israeli conflict,” said Baun. “Dr. Nassar brings the stories of Arab Israeli intellectuals to light and shows the ways in which they both brought global awareness to their local plight and embedded their cause within the plight of global decolonization,” added Baun. Nassar has published articles in top academic journals in Middle East History, including The Journal of Palestine Studies, Arab Studies Journal and The Middle East Journal of Culture and Communication. She recently served as a Tucson Public Voices Fellow (2017-2018) with The Op-Ed project, and a policy member of Al-Shabaka, The Palestinian Policy Network. Nassar’s analysis and opinion pieces have appeared in The Washington Post, The Conversation, The Forward, Middle East Report and other publications. She received an undergraduate degree in English Language and Literature from Benedictine University (Lisle, IL). Nassar earned a Master’s degree in Middle Eastern Studies, and a PhD in Near Eastern Languages and Civilizations from The University of Chicago (Chicago, IL). Nassar’s UAH visit is co-sponsored by the Department of History, the Women’s and Gender Studies Program, the Distinguished Speaker’s Series in the Office of the Provost, the Humanities Center in the College of Arts, Humanities and Social Sciences, and the Office of Diversity, Equity, and Inclusion. For more information about Nassar’s research, please visit: womenalsoknowhistory.com/individual-scholar-page.